Going on a safari is a dream-come-true for many people. It’s an opportunity to get up-close with amazing wildlife in their natural habitat. For decades, tourists have been flocking to Africa to embark on a lifetime trip. “Safari” in a Swahili word means a ‘long journey or expedition’, but it’s has now become our regular lingo. Nowadays, people go on safari to see the “Big Five” – Leopard, Lion, Elephant, Rhino and Buffalo. 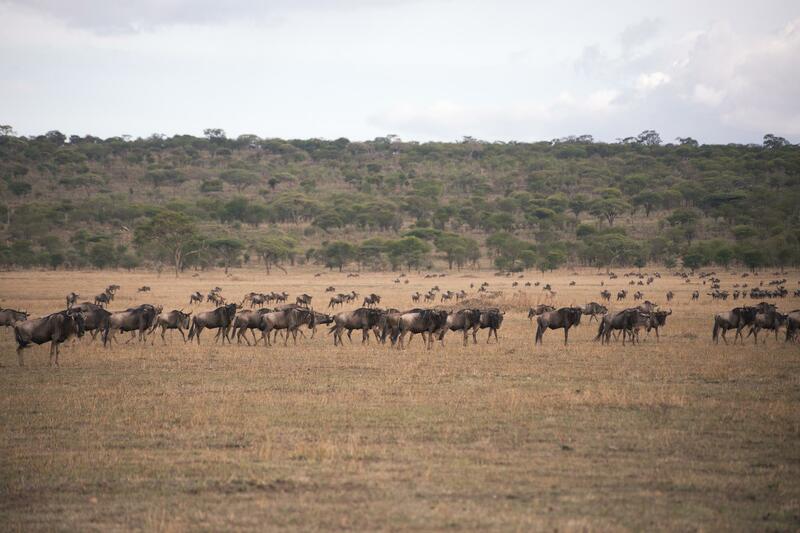 Many people also go on safari holidays to see and experience the Great Wildebeest Migration, which occurs every year between Masai Mara and Serengeti National Parks. They also experience the diverse African culture, wildlife, birds and varied environment – bush, beach, desert, and mountain retreats. However, choosing where to go on your first safari can be daunting. So where do you start? Well, for lifetime safari experiences, some of the best locations are in East Africa. It’s not an exaggeration! East African safari destinations boast abundant wildlife, magnificent landscapes, and fun activities. So, whether you go to Kenya, Tanzania or Uganda, a trip into the wilds will be life-changing for you. ‍The Masai Mara is a great wildlife reserve known for its abundant wildlife and natural beauty. Since its establishment in 1961, the park has become one of the most popular wildlife sanctuaries for game viewing in East Africa. It features hilly grassland, plains and rivers, the “Big Five” and a wide range of interesting animals and bird species. If you want to see an impressive display of wildlife behaviour, you should experience the Great Wildebeest Migration from Masai Mara National Park to Serengeti National Park in Tanzania. 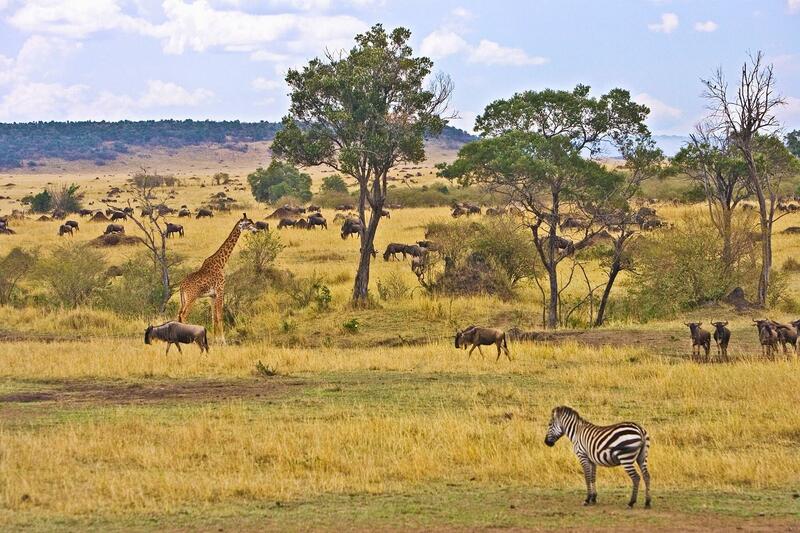 The two parks are divided by Mara River and the great migration occurs every year around October. Masai Mara is accessible from Nairobi by road – albeit a slow, long drive. If you’re flying into the park, there are several air strips to land. The Serengeti National Park is located on the Tanzania-Kenya border, between the Maya and Simiyu regions in Tanzania. Established as a park in 1951, it covers over 14,750 square kilometres of grassland plains, riverine forest, savannah, and woodlands. The park is widely known for its annual migration of over 1.5 million white bearded wildebeest and over 250,000 Zebra and gazelles with snapping crocodiles at their heels. It features more than 3,000 Lions, thousands of Leopards, Cheetah, Bush Elephants and African Buffaloes. 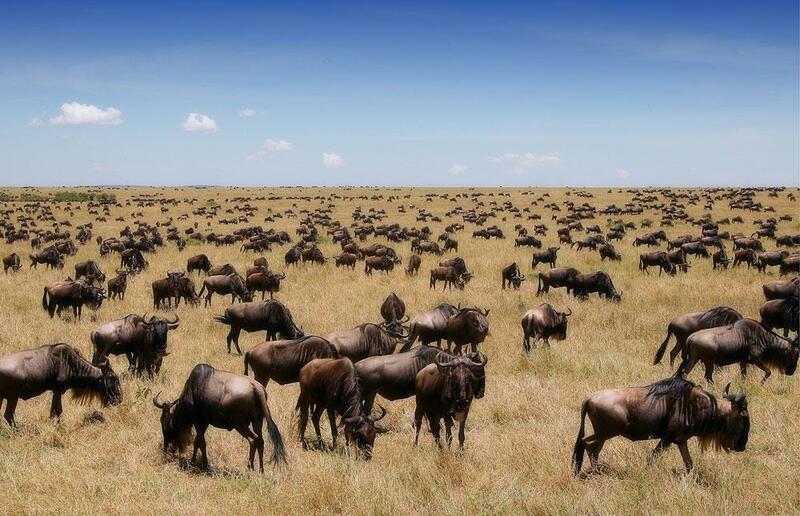 The Great Migration is best viewed from Serengeti National Park. During the migration, wildebeests cross the Mara River to Serengeti to search for water and greener pastures. But, there’s more to the park than the Great Migration. A safari trip to this park will give you an opportunity to explore one of the longstanding ecosystems in the world – the climate, wildlife and the unending dramatic landscapes. Apart from the Serengeti National Park, there are other game reserves and national parks in the Serengeti Region including the spectacular Ngorongoro Crater and Maswa Game Reserve. It’s an ideal destination for a luxury safari with a wide range of tented camps and lodges. 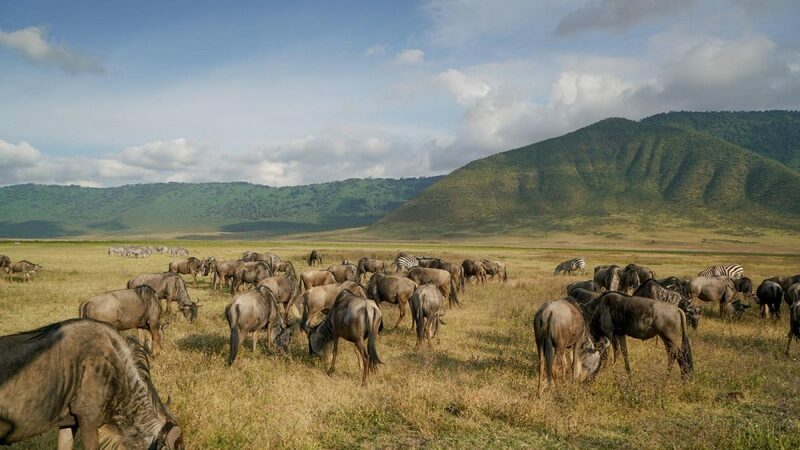 ‍Located in the Arusha region of Tanzania, Ngorongoro Conservation is a spectacular volcanic landscape with stunning craters and lakes. It’s a fascinating conservation area with a magical setting and is home to a wide range of wild animals including the elephants, Cheetah, Flamingo, Buffalo, Wildebeest, and Lions; and over 400 species of birds. The conservation area has been declared a UNESCO World Heritage Site due to its natural wonders and cultural resources. 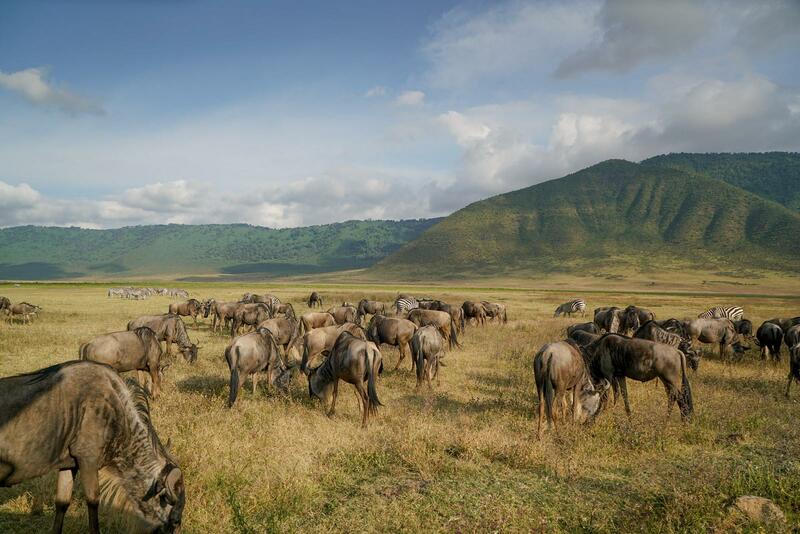 Ngorongoro borders the Serengeti National Park to the west and north side. 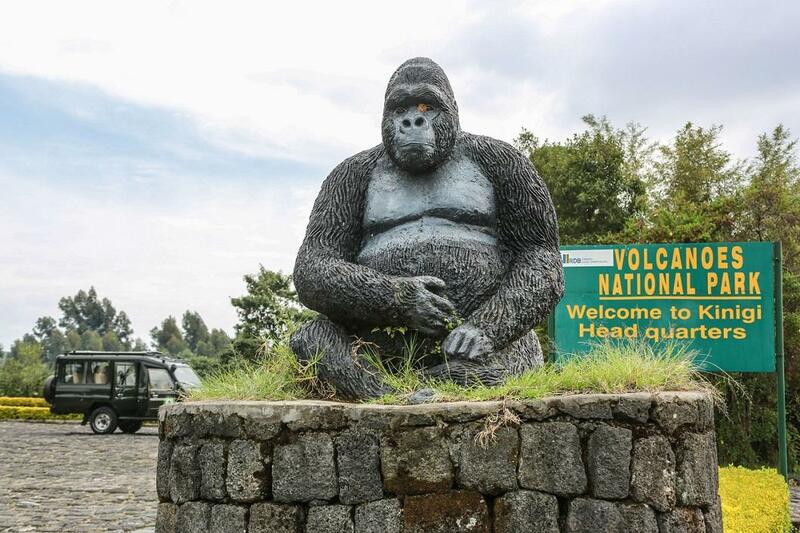 ‍‍Volcanoes National Park is located in Musanze, a 2-hour drive from Kigali in Rwanda spanning across 160 Kilometre square of rainforest and Bamboo. The park is home to five of the eight volcanoes of the Virunga Mountains, endangered mountain Gorilla, and a large number of recorded bird species. Other wildlife in the park includes Mountain Gorilla, Golden monkeys, Hyenas, Buffaloes, and Elephants. Gorilla trekking is one of the common adventures in the park and it is one of the most interesting activities you should not miss when you visit the park. ‍Queen Elizabeth National park formerly known as Kaziranga National Park was established in 1952, spanning across 1,978 square kilometres grassland savannah, humid forests, lakes, and wetlands. 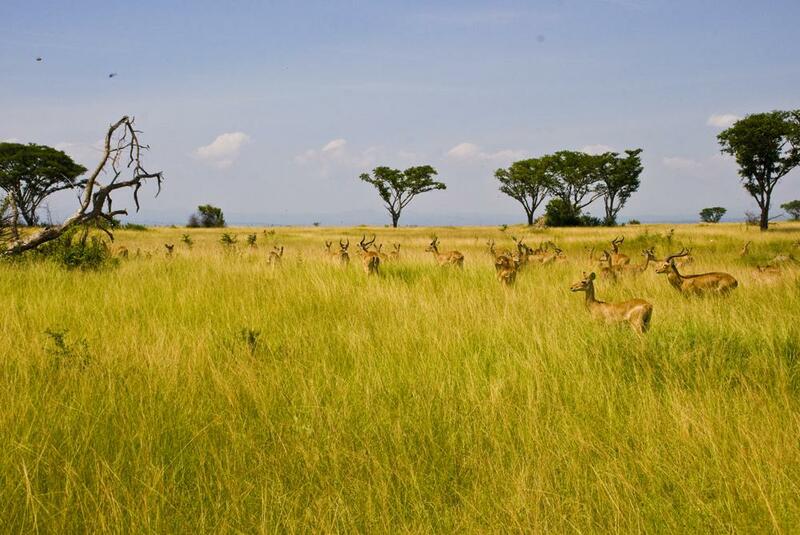 The park is located in the western region of Uganda and just 6 hours’ drive from Kampala, the capital city of Uganda. The park is home to 95 species of Mammal, over 500 species of birds and wildlife including Elephants, Leopards, Cape Buffalos, Crocodiles, and Chimpanzees. ‍Even though, other East African destinations including Rwanda and Uganda features some interesting safari destinations, Tanzania and Kenya safari holidays are the most popular ones. Tanzania features a safari holiday that can be easily combined with an authentic and affordable beach holiday. Kenya also features an amazing safari holiday due to a huge concentration of game parks but the national parks are extremely busy. ‍There’s so much to see and do on your first safari; so, get ready for an unforgettable adventure!